Leading marketing agency, Narrative, has been appointed as marketing partner for Newcastle-based Quantum Law LLP to support the firm’s ongoing business growth. After a successful first quarter, which saw Quantum Law add two members of staff to the team, the organisation appointed Narrative following a competitive process to support its future growth plans, in both size and service provision. 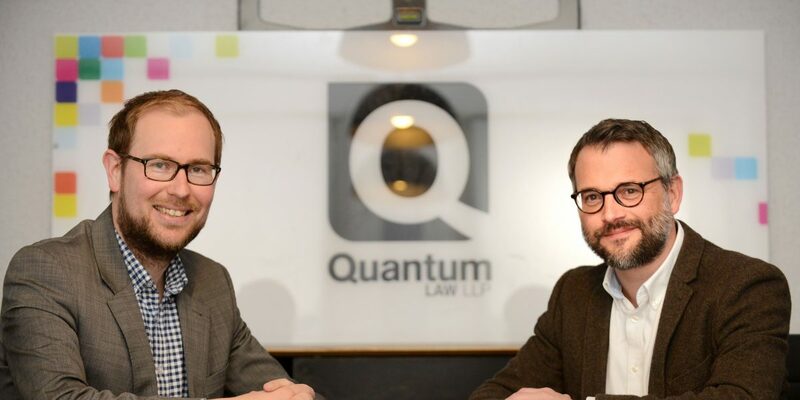 The appointment will see Quantum Law benefit from Narrative’s full-service offering, providing the law firm with expert support across the agency’s core services, which include PR, creative, advertising, digital media and marketing strategy. The new contract with Quantum Law follows a period of success for the Sunderland-based marketing agency, with recent wins including Sage Gateshead, Godfrey Syrett and Durham’s Hotel Indigo. Steve Smith, managing partner at Quantum Law, said: “Narrative really stood out to us due to their understanding of the business, but also their genuine enthusiasm and excitement to support us towards reaching our future goals. For more information about Narrative, please visit www.narrativecommunications.co.uk or to find our more about Quantum Law LLP, visit www.quantumlaw.co.uk.